A great location away from the hustle and bustle of Queenstown, but within easy travelling distance of both Arrowtown and Queenstown. Perfect quiet location yet close to the airport, shopping facilities, walks/cycling on the Queenstown trail, ski areas, Queenstown and Arrowtown. 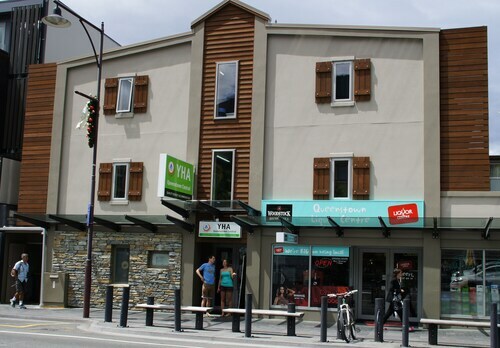 This YHA is in the heart of Queenstown - just down the street from Fergburger, the lake, gondola, restaurants and hiking spots. Unlike in stories, adventure doesn’t always come knocking on your door—you have to make it happen. Find Adventure on these Top Bucket List Trips. Opens in a new window. Overall it was a good place to stay with our two young children for a night. We had a two bedroom family room. 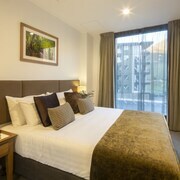 Pros are that the staff were super friendly, the beds were very comfortable, great quality pillows and linen. Nice little area with a fire pit by reception. Great breakfast choice (full buffet/continental) we received two $10 discount vouchers at check in. Cons were that the room was quite dark, there’s no tv, the toilet smelled badly of urine, the shower was hard to get a consistent temp and lacked pressure. In saying that, I’d still stay again as it was good value for the price we paid at $238 for the night. 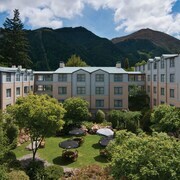 Cosmopolitan delights meet breathtaking natural wonder in Queenstown, located on New Zealand’s South Island. This busy resort town wraps around the beautiful Lake Wakatipu, while an imposing mountain range keeps watch in the distance. The city offers visitors four distinct seasons and is known for both watersports, excellent skiing, and snowboarding. Visitors can find delights in many forms! 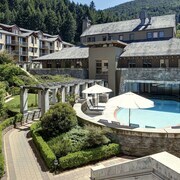 The adventurer at heart won’t be disappointed in Queenstown. Ski and snowboard enthusiasts flock to the city’s four excellent ski fields: Cardrona Alpine, Coronet Peak, The Remarkables, and Treble Cone. Water lovers can try jet boating, whitewater rafting, and fly fishing on the pristine lake. If you really want to get your adrenaline to spike, try bungee jumping, paragliding, or sky diving. 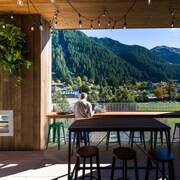 For those seeking a more of a mellow experience, Queenstown has you covered . Discover the natural wonders of the city’s two nearby national parks: Fiordland and Mount Greenstone. You can also spend a day on the greens at one of six golf courses in the area. Local spas provide ample opportunities for pampering. 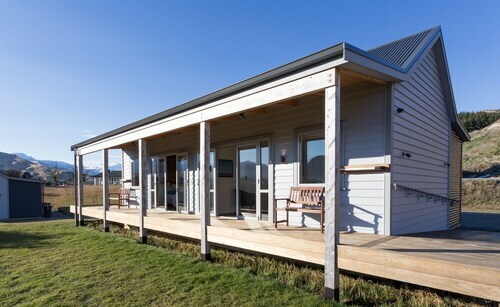 Take a sip of the area’s famous Central Otago Pinot Noir as you tour expansive vineyards and rustic wineries. Nightlife is booming in Queenstown. With over 150 restaurants, cafes, and bars to choose from, you’ll never run out of options to find a great drink and a great meal! Visitors can enjoy plenty of fine dining options as well as artisanal eats and family friendly restaurants that the smallest travellers will love. This resort town offers accommodation for almost every budget. 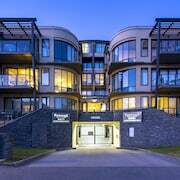 Those who enjoy the finer things in life can check into luxury accommodation in Queenstown. Couples may prefer to try a romantic bed and breakfast, while families and groups can rent self-contained apartments or even holiday homes. The traveller on a budget will be able to find reasonably priced motels, as well as cheap backpacker hotels and holiday parks. 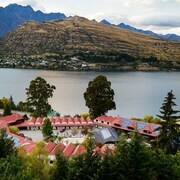 Queenstown is serviced by the Queenstown International Airport, which is only a short drive from the town’s centre. You can pick up a Queenstown car rental at the airport, allowing you to take day trips outside of the city. The downtown area is very walkable, so it may be possible to hop on a bus from the airport or take a shuttle into town. Visitors can also use the strong public bus network to get from one adventure to the next. Planning a holiday takes a lot of work, but it shouldn’t be hard to find the best deals on flights, Queenstown hotels, and rental cars. You can easily compare prices on Expedia.co.nz and save lots of money that you can put toward your trip. 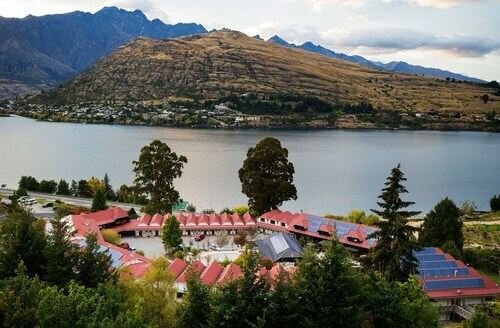 From 5-star hotels in Queenstown to more modest motels, Expedia will give you side-by-side comparisons of all the flights, accommodation, and rental car agencies that meet your parameters so you can get the best price. You can book everything right from the website. Booking your travel has never been so easy! 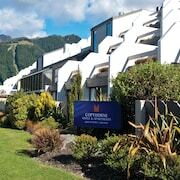 Explore Queenstown with Expedia.co.nz’s Travel Guides to find the best flights, cars, holiday packages and more!